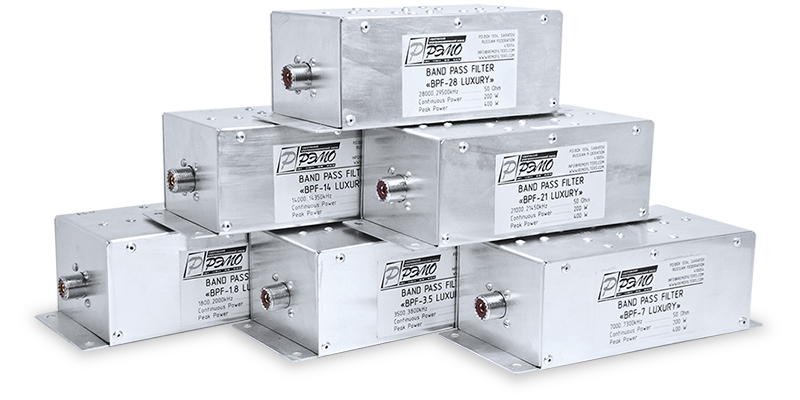 The Band Pass Filter OM6BPF is designed for all short wave amateur bands from 1.8 to 29 MHz (exclusive WARC-bands ) for 200 W power. The best low pass filter available... says Bencher. Also suitable for high power - up to 1.5kW in FM, 5 kW peak. 1.8 to 30MHz, very steep skirts., attenuation approx. 80 dB. Connectors: 2x PL female. In some cases traditional low pass filters have a limited effect on TVI and BCI. Usually because these interferences are not caused by harmonics but by common mode currents on the outer shield of the feed line, these currents are not affected by low pass filters. To solve these problems a new kind of filter is available - the common mode filter for 1.8 to 54MHz, which is inserted into the feedline just as a low pass, as close to the transceiver as possible. Common mode suppression up to 250MHz and up to 50dB. Two versions are available: max. 2000W or max. 5000W power load (key down! ), insertion loss max. 0.1dB. 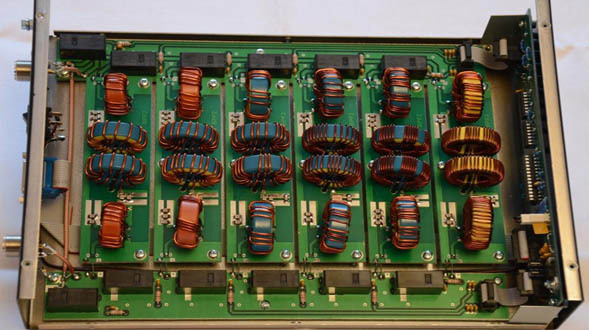 In Japan, a land with very high amateur radio density and lot's of TVI situations, already a quarter million of these filters have been sold and used successfully. Connectors 2x PL. Common mode filter - low cost version by MFJ. Frequency range 1.8 - 30 MHz, size 13x5cm, PL jacks, max. 1500W PEP. Powerful common mode filter for use directly after the station or the amplifier in the shack. For additional protection against rain, this lock can also be used at the antenna. 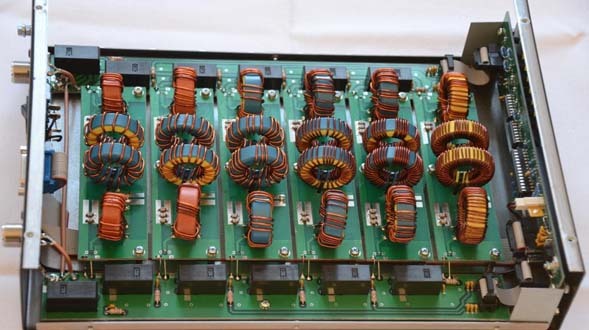 The filter uses RG-213/U and a number of ferrite cores to block standing waves directly at the station. Capacity up to max. 1500W, length 1m, 2x PL-plug, 1x PL-double female included. Fight interferences with toroidal ferrites. Just wrap the cables of the affected device once or several times around the toroid, close it, ready. Suitable for all types of cables. Optimal frequency range 0.5 to 200 MHz.